I search Realtor.com for homes for sale within my postal code. 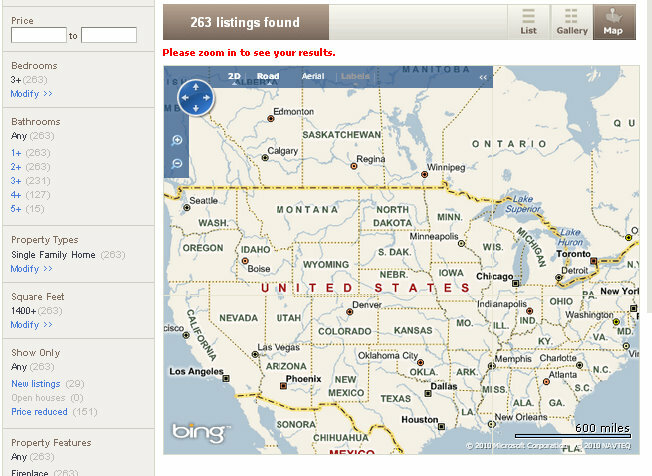 Wanting to see listings for the homes closest to mine, I then click the "Map" button. While I expected that I may need to zoom in a little and navigate to my house, I expected a bit more specific view than I got.